Employers fully recognize the importance of potential talent – those individuals who can drive their business forwards and boost the bottom line. However, recruiting new employees can be an expensive and time-consuming process for organizations; one that uses up important resources, but rarely offers any guarantees. So, when it comes to finding a candidate, Recruitment firms play a major role. Such firms or agencies can play a great role in helping you find the right candidates for critical business projects or roles without placing undue stress on your in-house human resources team. What is a recruitment firm in India? In many cases, organizations need specialist support to fulfill their recruitment needs. Using a recruitment agency in India to identify and attract talent, and negotiate terms, can relieve a huge amount of working pressure. Top firms look for right candidates for vacant job positions with one or more companies. Based on a job description and business requirements,they search for the best candidates through their advanced network and database.This approach can help employers find the people they need to move forwards, bring best talent, and secure their best services within budget.At the end of the day, the recruitment firms will ensure that the company is happy with those put forward by the agency. •Ability to find the best talent- The advantage of hiring a recruitment agency is they work with both employers, who are searching for potential candidates, and professionals who are on the hunt for career opportunities. A recruitment consultant has strong database and a clear idea of where to find these individuals.Another advantage of hiring a firm is their extensive knowledge about specific segments of the job market. They can easily learn about employers’ goals and business requirements. •You can save your extra time-A recruitment firm’s success is based on its network and database of contacts in the job market. They know how to search the best talent. Their job is essentially matchmaking the right employee to the right employer. 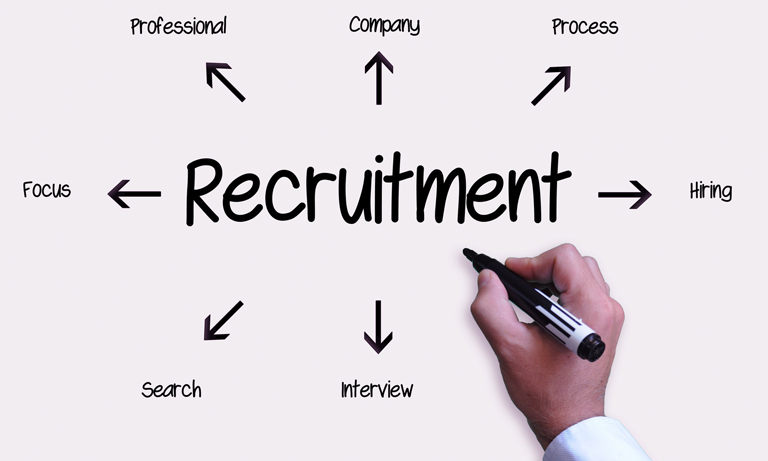 So,hiring a recruitment agency ensures you will get the perfect candidate for specific positions. •Cost Advantages-It is often assumed that bringing Recruitment firms will result in a saving of cost to the business. Recruitment firms will often have allocations on the all the top job boards, so you can ensure that your job positions can be easily fulfilled. A Recruitment Agency also give guidance on what is fair and suitable, but also what you might need to do to ensure that top candidate can be placed for longer time! •Gives access to industry insight-A staffing and recruitment firm provide perfect staffing solutions for organizations across diversified industry sectors such as finance and accounting, financial services,office administration and technology and. As such, they have jobs market insight and significant expertise, internationally and nationally, which employers can tap into as and when they plan their hiring strategy. •Help to maintain employer brand-If you choose your recruitment agency wisely than they can give potential candidates with a real insight into your business and maintain an employer brand. These firms can actually help a business become a brand and better place to work. Recruitment consultants of such firms completely understand candidate skills requirements for the specific position, employer needs and expectations and the impacts of the job market as a whole. This means they are ideally situated to help companies make appropriate decisions, which have a positive impact on the bottom line.This allows companies to free up time and manage valuable resources to help drive the business forward.